After turning at 2000rpm and switching back to 620rpm, there was a light clunking sound like the gears were loose. 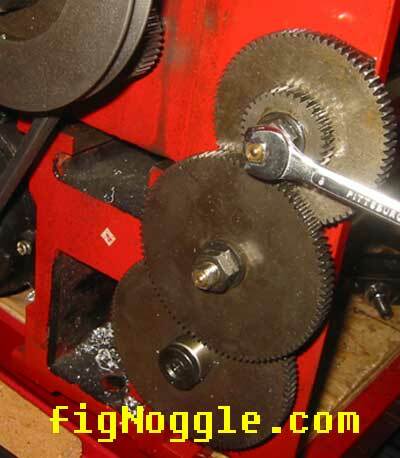 As it turns out the leadscrew gear set was coming loose from the pulley gear. Here's how to adjust it (plus if you wanted to change the feed speeds). here's a top view of the leadscrew gears (closest to you) and the gear that's on the spindle pulley. it's difficult to see but the gears are not touching. there's a small socket head cap screw located next to the gear that drives the leadscrew. loosen it so that you can pivot the gear assembly. not sure if this thin 15mm wrench came with the 8x (probably not) but it should have since they are thin hex jam nuts that regular wrenches can get to. 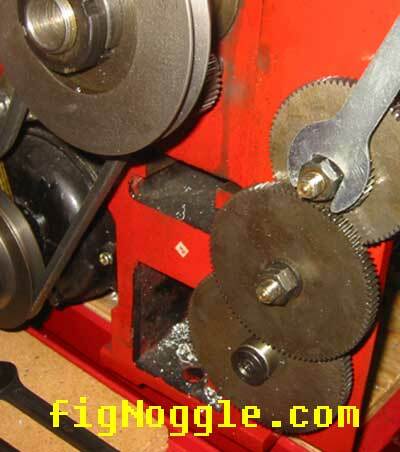 note that the gear set is tilted towards the front of the lathe. 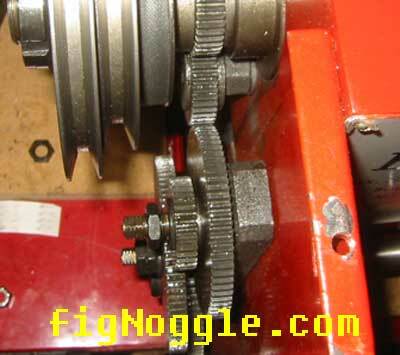 the gears were loose and after they were adjusted, we made certain that the bolt is also tightened down. it takes a 8mm wrench. note the lubrication nozzle at the end of the bolt. tilt the assembly back in towards the pulleys until the gear on the spindle makes appropriate contact with the top gear on this assembly. tighten the socket head cap screw. 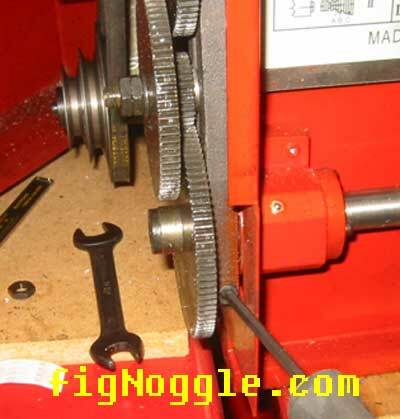 btw, changing gears for threading and feeds follows the same procedure mentioned above.